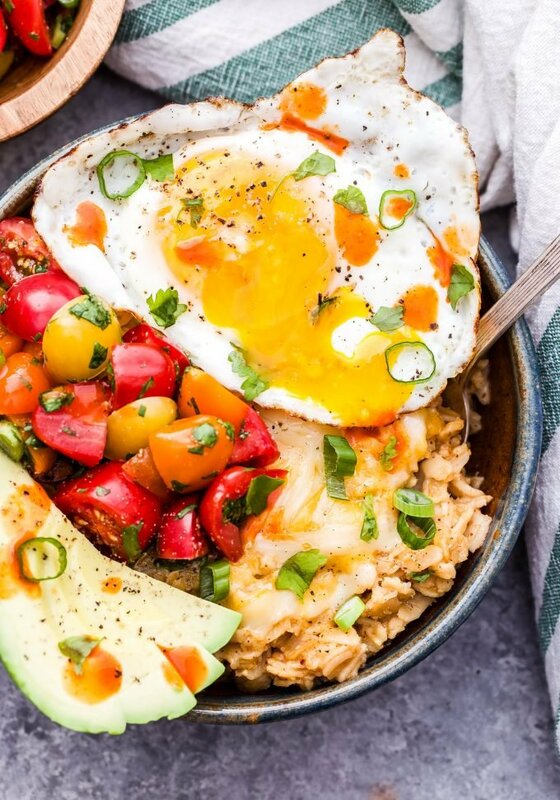 This Savory Southwest Oatmeal is a great way to change up your usual sweet oatmeal routine. 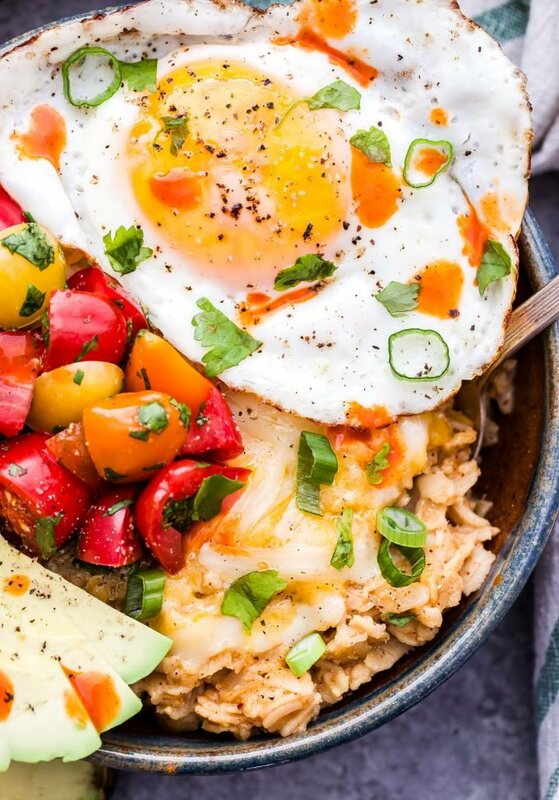 Oatmeal seasoned with chili powder and cumin then topped off with avocado slices, cheese, tomatoes and an egg. 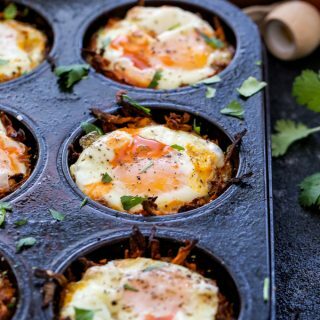 Perfect for a hearty breakfast or even dinner! I have a doozy of an oatmeal recipe for you today! 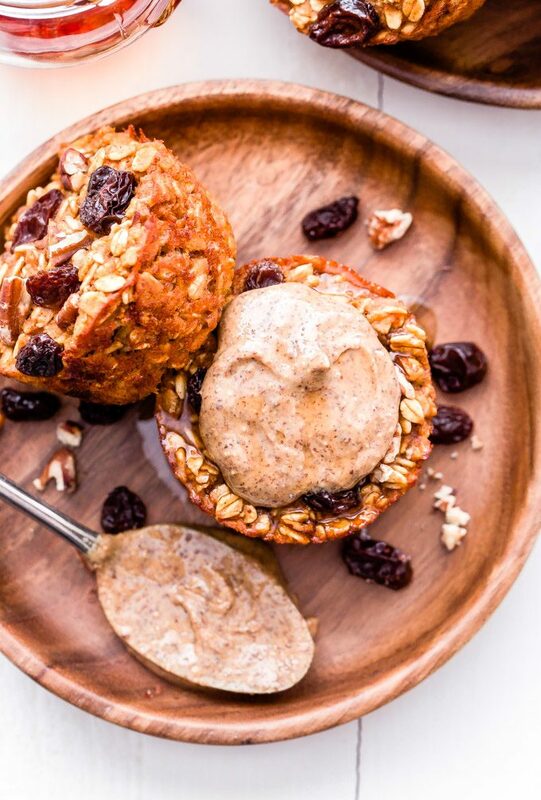 Forget everything you would normally add to your bowl of oats. I’m guessing it usually includes some kind of fruit, cinnamon, nuts or nut butter, maple syrup or honey and milk? Instead add in chili powder, cumin, cilantro, tomatoes, avocado, cheese and top it off with a sunny side up egg. Bet you didn’t see that coming! 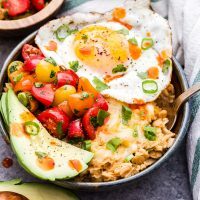 It may sound strange, but this Southwest Savory Oatmeal is incredibly tasty and great for those who prefer a savory breakfast. 95% percent of the time I make a savory breakfast in the morning. I usually only save the sweet stuff for holidays, special occasions or the rare morning when I have a sweet craving. 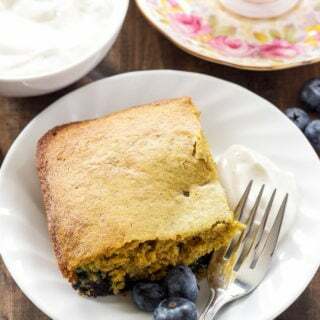 I often find if I start my morning with something sweet I crave it more throughout the day and when you have a wild sweet tooth like me, it’s best not to go down that path. I was looking for a way to get my oatmeal fix in the morning, but have it in a way that didn’t involve fruit or sweeteners. At first the idea of adding spices like chili powder and cumin just seemed wrong, but then I thought about how I do it all the time with rice or other whole grains that I eat at dinner. It’s really no different when you do it to oats. The oats are cooked on the stove just as you would when you make the sweet version, but you’re going to add the spices in and use a little more salt. While the oatmeal cooks and rests, it’s the perfect time to get all the toppings ready. 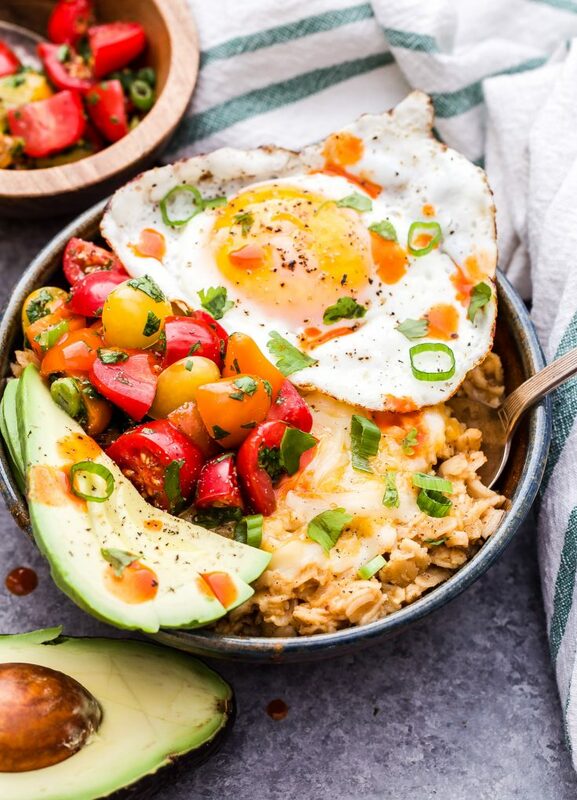 This Southwest Savory Oatmeal is topped with a quick salsa made with cherry tomatoes, cilantro, lime juice and a pinch of garlic powder. I also added a few slices of avocado, shredded cheese and of course I had to top it with an egg. Once the oatmeal is cooked add on all the toppings and give it a little stir so you get a little bit of everything in each bite. 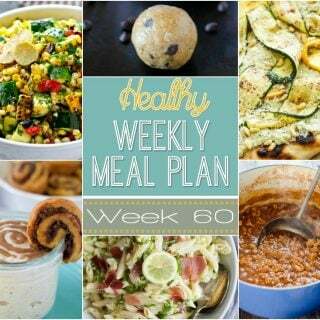 My favorite part is breaking the runny egg yolk and mixing it into the oats, don’t skip that step! 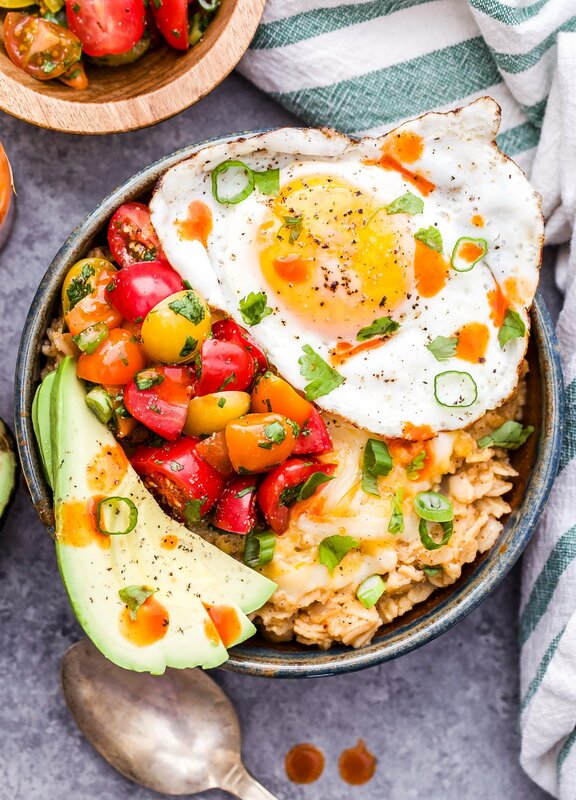 Put those preconceived ideas about what oatmeal is supposed to look and taste like aside and give these Southwest Savory Oats a spin! Bring 2 cups of water to a boil in a small saucepan. Once boiling add in the oats, chili powder, cumin and a big pinch of salt. Stir and lower the heat to medium. Cook for 5-6 minutes then remove from the heat, cover and let rest for another 3 minutes. While the oatmeal rests combine the tomatoes, cilantro, green onion, lime juice, salt, pepper and garlic. Taste for seasoning. Top the cooked oatmeal with shredded cheese, the tomato mixture, avocado slices, sunny side up egg and hot sauce. Okay totally making this ASAP! 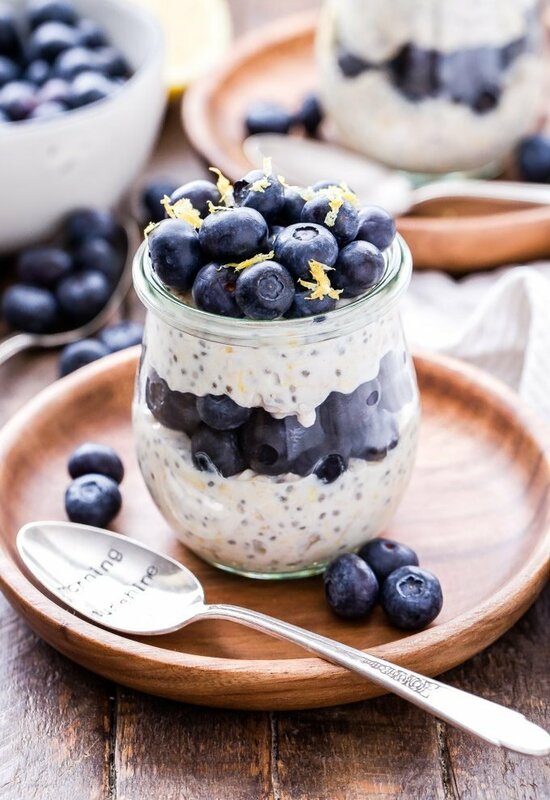 Love this variation on oats, Danae! Thank you! 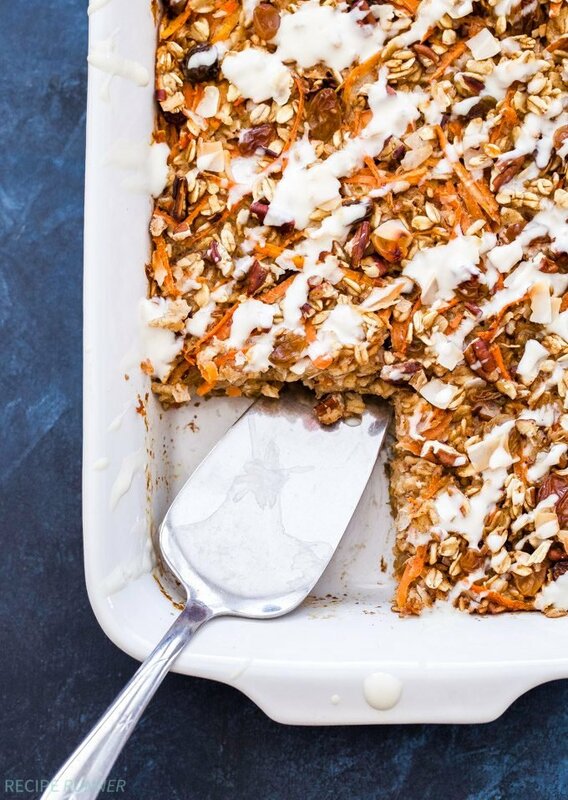 It's so good and great if you prefer a savory breakfast, but still want your oats! I'm so glad you liked the savory oatmeal Dora and yes, mixing in the egg yolk is the best part!